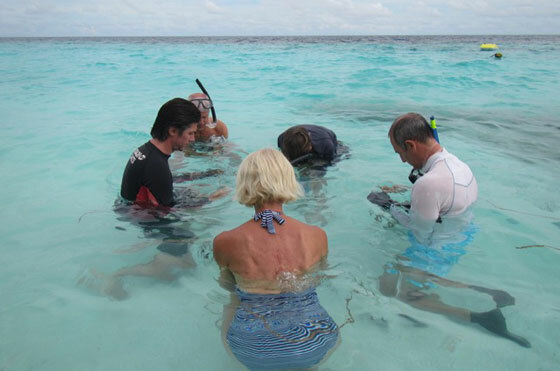 GAAFU DHAALU ATOLL, THE MALDIVES – Guests of the Outrigger Konotta Maldives Resort recently joined the Best Dives Konotta marine biologist and staff to relaunch a coral regeneration project. The previous initiative, launched in December 2015, was doing well until the El Nino effect in April raised water temperatures and negatively impacted the new growths. 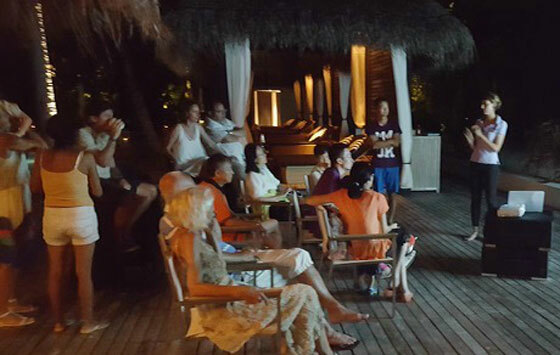 Marine biologist Caterina Fattori gave a presentation on global warming and its impact on coral in the Maldives on 19 August to European and Chinese guests (with live translations) from Chinese speaking dive instructor ‘Vincent’ Gao Yang. 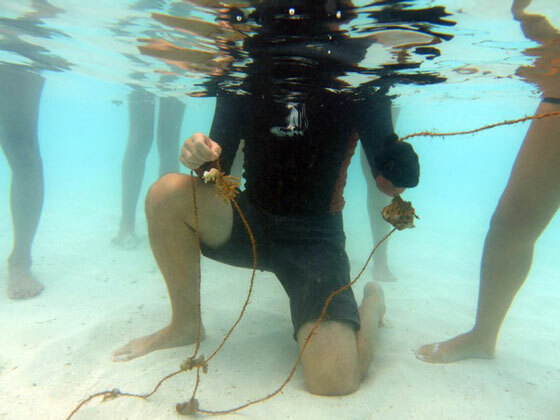 The next day guests joined Ms Fattori to connect living coral fragments that had been displaced by waves to coconut ropes. They were attached on laces then to metal frames in two areas at about 7 metres and 13 metres depth, while the round concrete bases were placed in the sandy sea floor at about 7 metres depth. Additional follow up restoration work will take place on 26 and 27 August, also with guest participation. 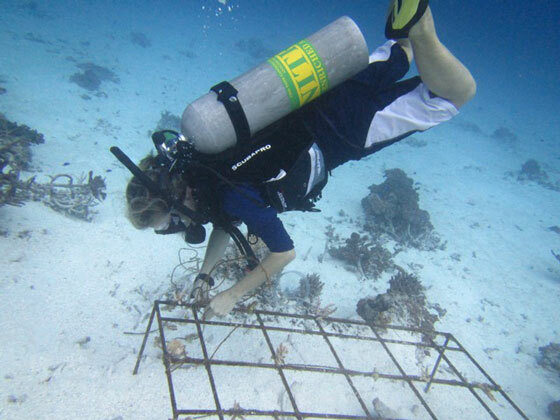 The coral restoration project initiated by Best Dives Konotta is part of the Outrigger OZONE (Outrigger’s Zone) global marine conservation program. 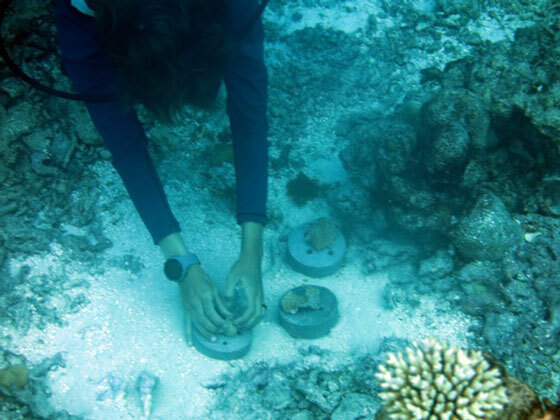 Marine biologist Ms Fattori sinks some concrete bases with encrusting fragments.